We have enjoyed one of the best summers on record. But now it’s time to ask yourself whether your home is prepared for the months ahead. The kids are firmly back in the school routine, the evenings are getting shorter, and you are waking up in the morning and starting to ask yourself whether it will soon be time to switch the central heating on. There’s no getting past the fact, a look out at the trees will tell you that autumn is looming. Now is the perfect time to get outside before the weather really starts to turn and spend an afternoon doing some important jobs to ensure your home is ready for the months ahead. Dealing with blocked drains is not a pleasant experience at any time of year, but when the temperature is below zero and the wind is howling, it is the stuff of nightmares. A little maintenance now can save you a lot of aggravation in a few months’ time. You don’t fully appreciate all the hard work your gutters do until they are unable to do it anymore. 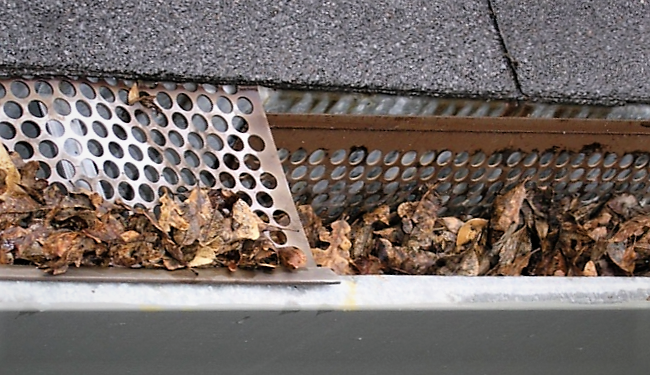 They drain thousands of gallons of water from your roof every year – not to mention leaves, silt and whatever other detritus the local bird life decides to leave up there. It’s inevitable they will get clogged over time, and when they do, the water spills onto, and sometimes into, your home, not to mention onto the head of anyone walking below. Worse, if they are left like that, they will twist out of shape, and could ultimately become useless. It’s neither a long nor a complicated job to get up there with some gardening gloves and clean everything out. Also take the opportunity to check all the joins and fixings. If something is about to give way, better to know about it now and deal with it before it becomes a problem. Once you’ve looked up, look down. The rainwater pipes, gulley and acos around your property work harder at this time of year than any other, thanks to all those leaves being washed into them. If we continue to have predominantly dry weather, that is actually worse, as it prevents the systems from being flushed through and the leaves and other rubbish just build up. Once the bulk of the leaves have fallen, make sure everything is cleared, ready for the winter ahead. The drainage infrastructure is one that is inevitably put under strain in autumn and winter. However, Thames Water’s ambitious super sewer project is coming on apace, and will help relieve the strain on what is, after all, a drainage system that dates back to Victorian times. Impressive though it might be, we still need to take responsibility for the drainage on our own properties. By spending just a couple of hours on some basic maintenance, we can all play a part in ensuring the Great Stink of years gone by does not come back to haunt us this winter.